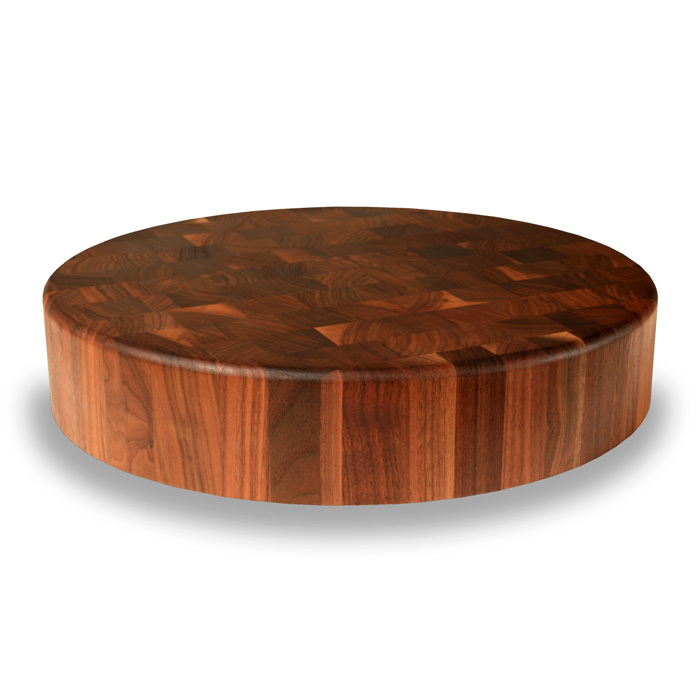 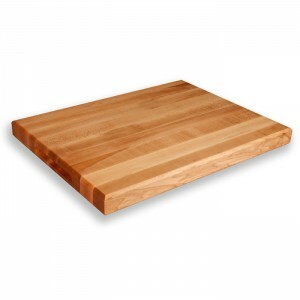 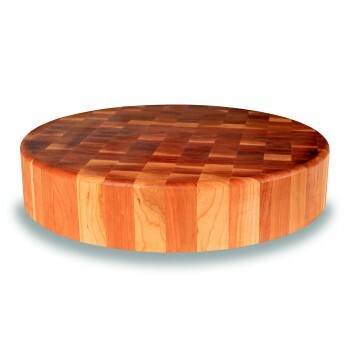 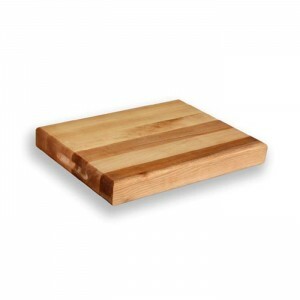 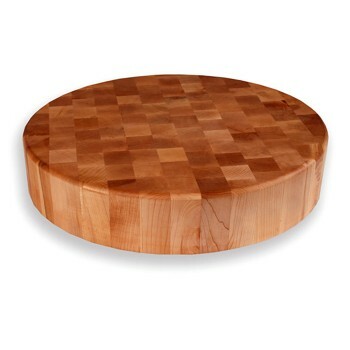 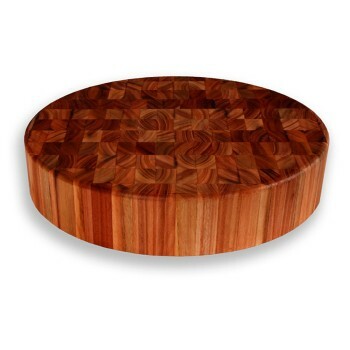 Make a statement in your kitchen with the arrestingly beautiful 18″ round, 3 1/2″ thick end-grain chopping block. 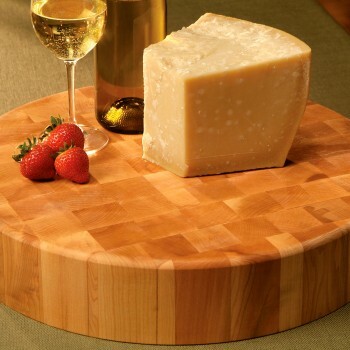 Sturdy enough to stand up to any food prep application, yet stunning enough to work as a serving surface for presenting wines, cheeses, pastries and breads. 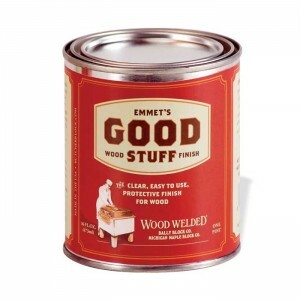 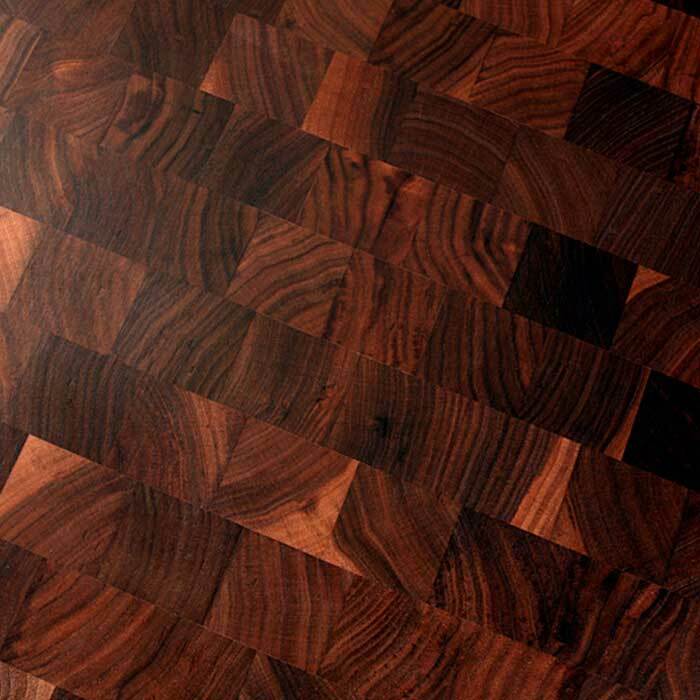 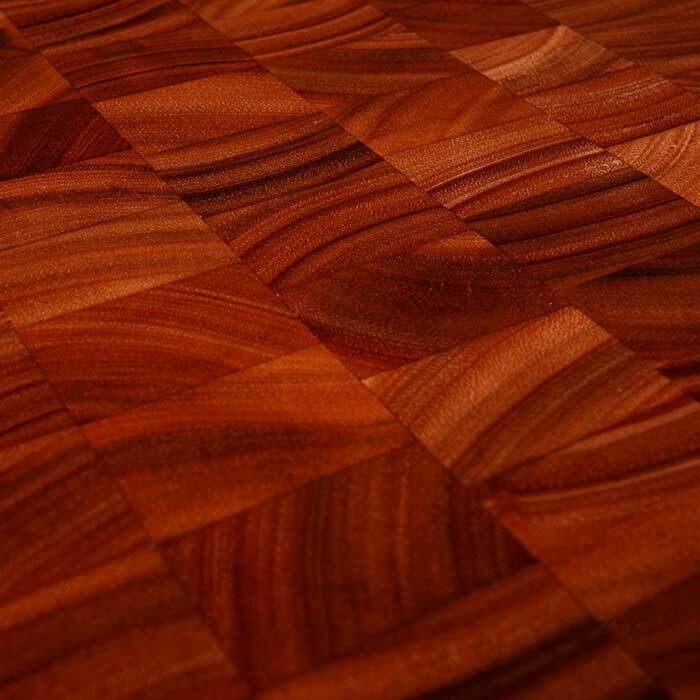 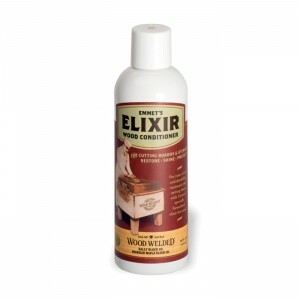 End-grain construction means the wood grain is vertical to the cutting surface. 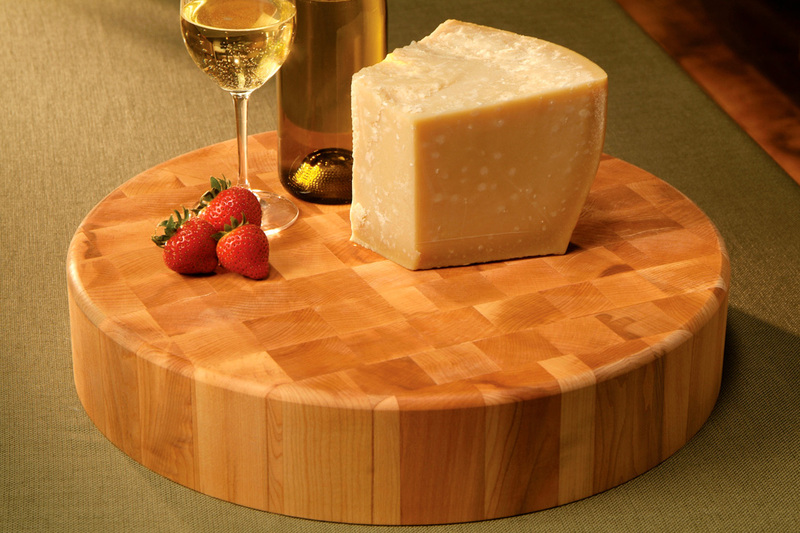 A modern counter top version of the butcher blocks found in old-style meat markets, this block will endure a lifetime of use yet is gentle on knife blades.